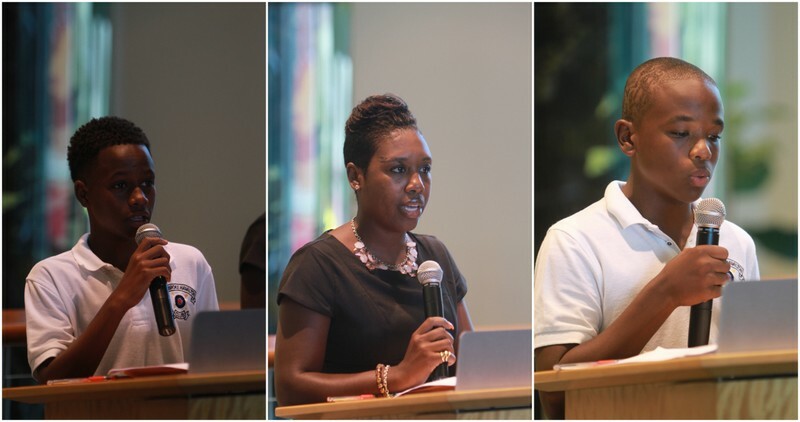 The PHC Foundation recently handed over $40,000 in scholarship funds to college-aged students at the 8th Annual PHC Foundation Awards Ceremony hosted by XL-Catlin, the programme’s premier Sponsor. The event was attended by the recipients, their families, Pembroke Hamilton Club officials, the executive of the PHC Foundation and sponsor representatives. Patrick Tannock, President of XL Catlin’s Bermuda Insurance Operations and philanthropic unit, XL Foundation Ltd, said: “XL Catlin is pleased to support the ongoing efforts of the PHC Foundation as it endeavours to play a critical role in the development of those participating in the PHC’s programs. 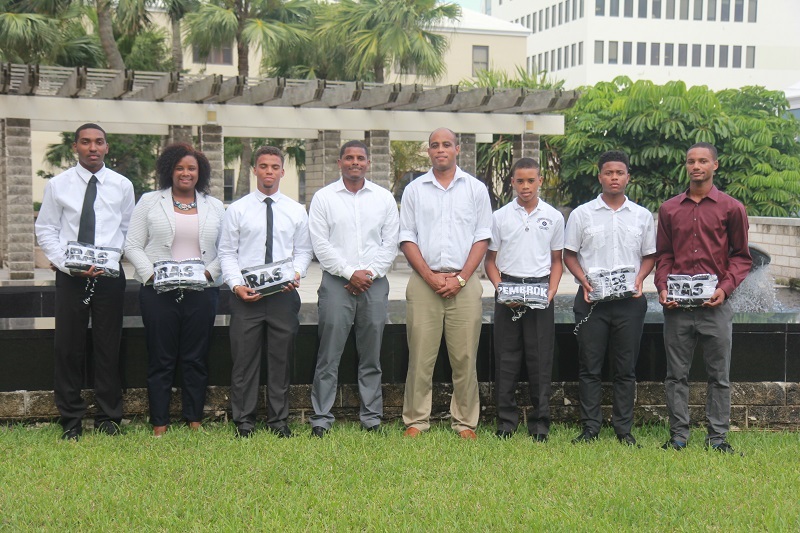 The PHC Foundation is sponsored by a diverse group of companies, foundations and individual benefactors that includes – Ace Foundation, Ms. Akila Simmons, Arch Insurance Bermuda, Argus Group,, Atlantic Security, Bermuda Community Foundation, Mr. DeUntay Darrell, Endurance Specialty Insurance Ltd, FIL Limited, The Bank of Bermuda Foundation, Lingard Limited, Montpelier Re, Orbis Investment Management Limited, Ms. Sheba Bailey, Ms. Selena Burgess, SIGCo Limited, XL Catlin and Zurich International [Bermuda] Limited. The PHC Foundation is a registered charity  in good standing. Formed in 2006, the Foundation’s primary mission is to support education through funding of scholarships and development of community education initiatives that benefit the larger PHC Community. The Foundation headed by President, Rajaee Shakir, exists as a distinct entity from its sister organisation Pembroke Hamilton Club. The President’s committee members include Tawana Fox, O’Shandah Ming, Mark Simons, Kevin Warner and Raymon Glasford. Always nice to see a club giving back to the community. Keep up the good work guys and all the best to the recipients. Brilliant! Well done to the young persons, and kudos to Rajaee and the PHC Foundation team and XL Capital. We always hear how black people can’t get together and do something positive to help the community. But that was never true; it was not true in the past; it is not true now; but we have always allowed others and even ourselves to judge from the stand point of the worst of us and not from the perspective of the best. This is an example of the best and as such should be applauded. Pembroke Hamilton Club has Black as well as White members, and the Foundation makes no distinction between them. In addition, we always hear how you separate black people from everyone the rest and make a case about how they are somehow different. This is very sad. We are in fact all the same. You should be trying to unite the races, not separate them. This is fantastic news. Congratulations to ALL recipients of the awards! !Great work!! At the completion of your studies, DO return to BERMUDA!! !